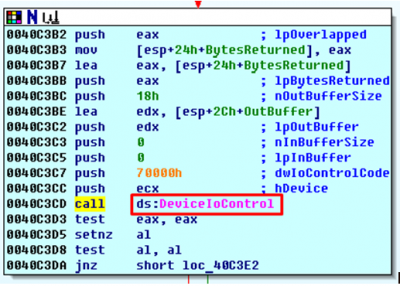 Let us skip the long introduction on BlackEnergy threat and go straight to studying the malware component called “ololo.exe” also known to the public as KillDisk. KillDisk is a module of BlackEnergy framework aimed at data destruction and creating havoc / distraction during the APT operations. 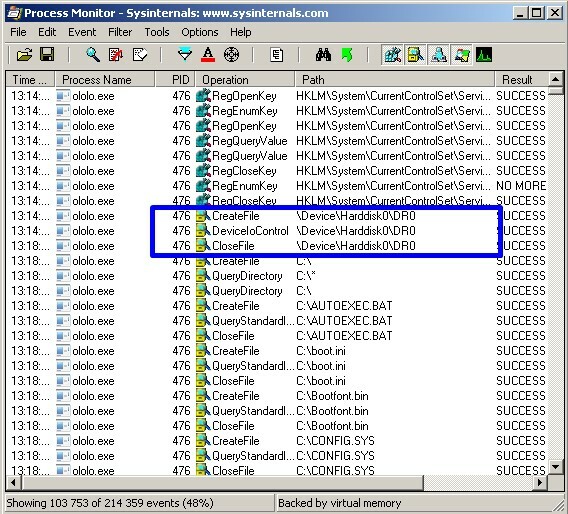 The main tools used in our analysis today are Process Monitor that is a part of SysInternals utilities by Mark Russinovich and IDA Pro Disassembler. All manipulations will be performed in virtual environment based on Windows XP operating system. We start with making a quick initial setup of test VM, power on the machine and create a snapshot called “Before infection”. Let us begin! 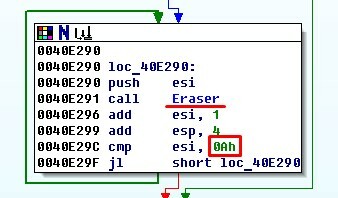 Next, we load the virus into IDA Pro Disassembler and see the following picture. 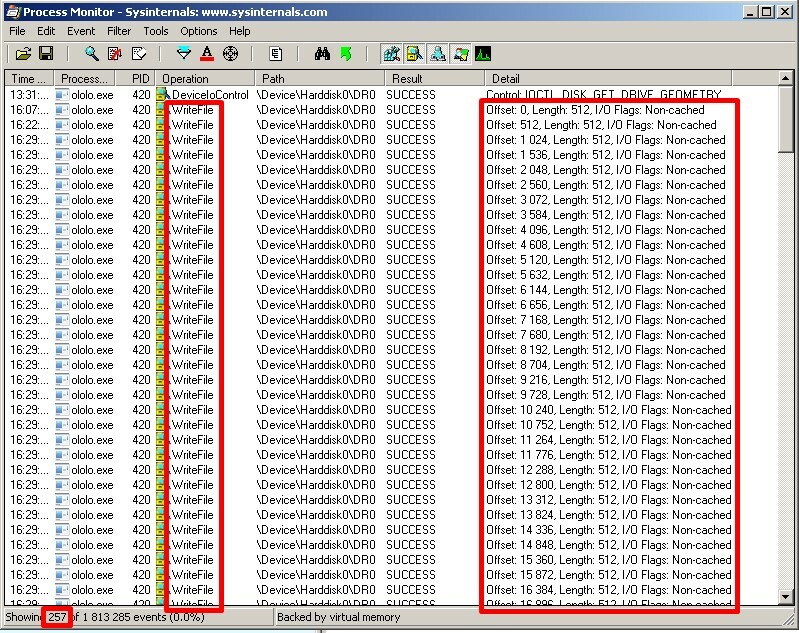 Its insides contain one interesting system call CreateFile and couple procedures sub_40C390 and sub_40C400. 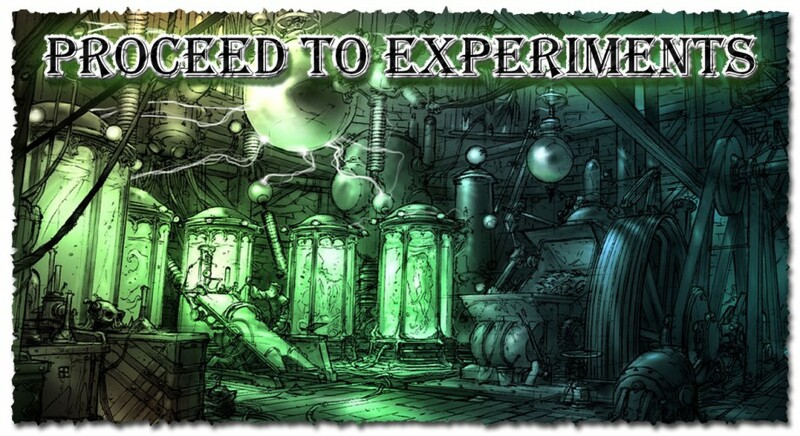 So it is about time to take a snapshot of our virtual lab and continue our journey! CreateFile function creates or opens a file or I/O device. The most commonly used I/O devices are as follows: file, file stream, directory, physical disk, volume, console buffer (CONIN$ or CONOUT$), tape drive, communications resource, mailslot, and named pipe. 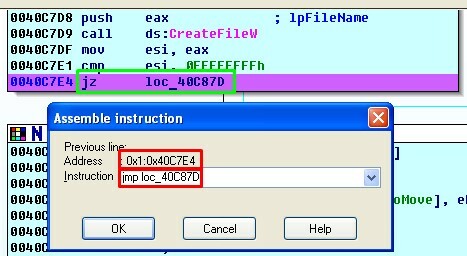 The function returns a handle that can be used to access the file or device for various types of I/O depending on the file or device and the flags and attributes specified. As we know most of compilers pass argumetns to a function through a stack and since we are dealing with a sample initially written in C, and according to C directives arguments are pushed onto the stack from right to left in a way that first function argument is pushed last onto the stack and ends up being the first element on it’s top. . The last argument that got pushed into the stack (one on its top) is the first argument accepted by the function (according to syntax of CreateFile function) and it contains file name in our case \\.\PHYSICALDRIVE0, thus the target is first physical drive. 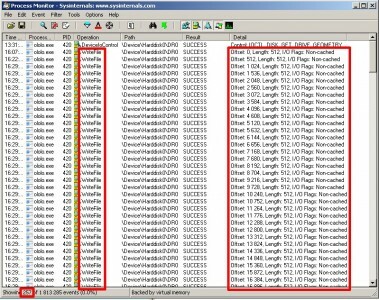 DwFlagsAndAttributes – flags and attributes; this parameter is used to set characteristics of created file and is ignored in read mode 0.
hTemplateFile – parameter is used only when new file is created 0. 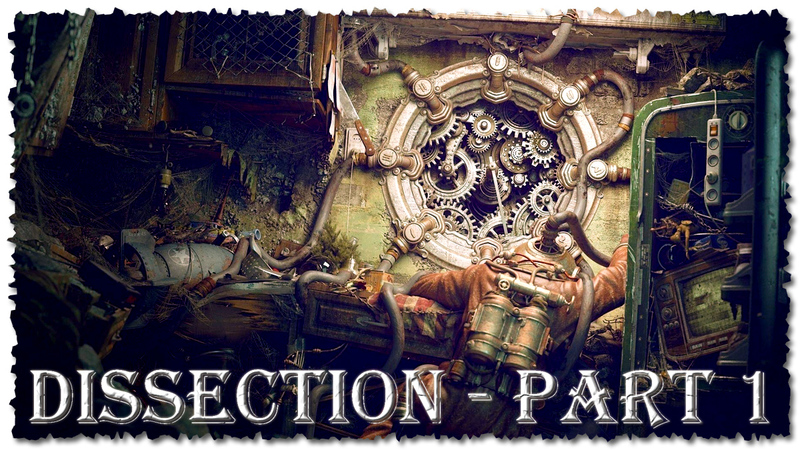 Upon success the function returns new file’s handler to ЕАХ And if function failed a NULL is written into ЕАХ register. 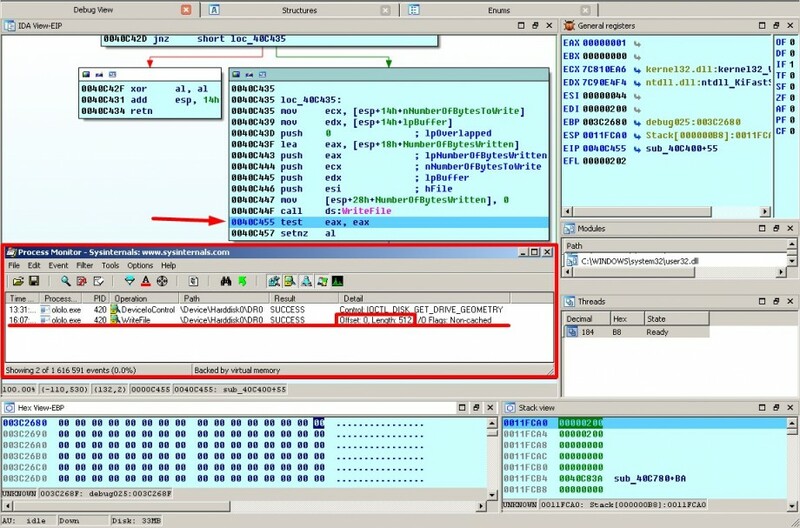 DeviceIoControl function sends a control code directly to a specified device driver, causing the corresponding device to perform the corresponding operation. 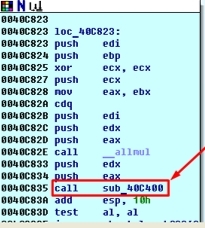 At the address of 0x0011FCA4h we have a return of the amount of bytes written into output buffer as intended by the function (marked with green) we got as many as we asked for 24 symbols. media type – 0x0Ch (12) meaning fixed hard disk. 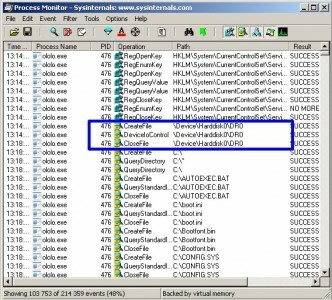 SetFilePointerEx function moves the file pointer of the specified opened file. Now our “beast” uses the WriteFile function and to fill up file with zeros to which it already established direct and reliable access. A WriteFile function Writes data to the specified file or input/output (I/O) device starting with the position specified in the file. This function is designed for both synchronous and asynchronous operation. 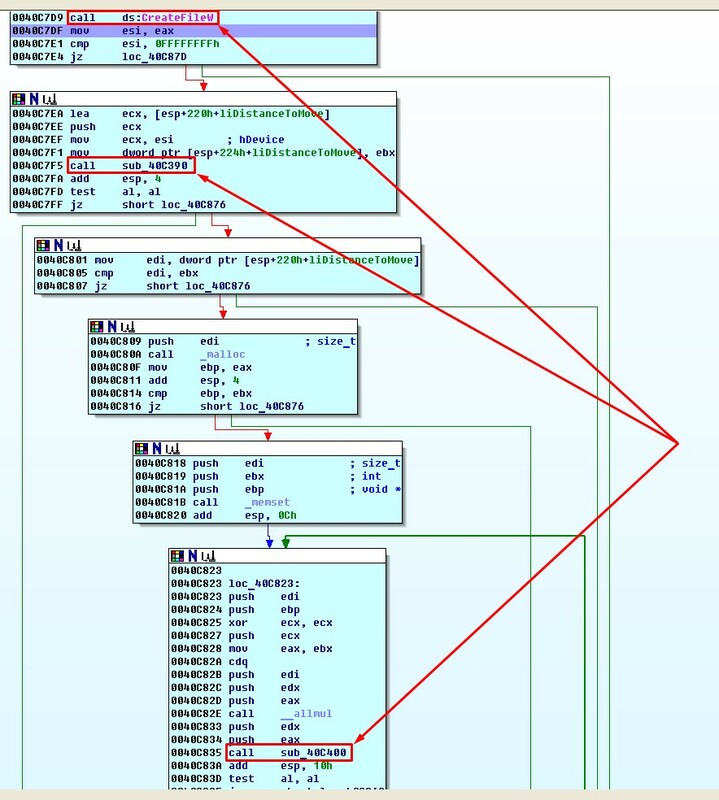 A dedicated square in the Hex View-EBP window we marked an area that is being addressed by second function argument (data buffer) and you can take my word on this one – it contains exactly 0x200h (512) of zero’s. As we expected a keen eye of Process Monitor is spot on and fixes the writing of 512 bytes beginning from position 0. That’s basically it, our “beast” has done its dirty work and closes the file handler by calling the CloseHandle function. A CloseHandle function closes an object handle of opened object. And what do we have in ESI register? 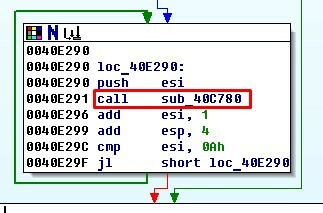 As expected our familiar descriptor 0x44h is passed to stack as function argument. If function ends with success the returned value non-null. If function exists with an error the returned value is null. Everything worked out as normal (if you can call the destruction of the most important part of the system drive normal) ) and the file is closed. and so on until 10 is reached. This way the beast keeps walking across all physical drives and erasing first 512 * 255 = 128kb (this depends on the amount of bytes in a sector that “beast” learned from knowing disk’s geometry). Which means that in our «improvised lab» there is no second physical disk (or well not any kind of disk with sequence number greater than 0) exists and the cycle has nothing to re-write. 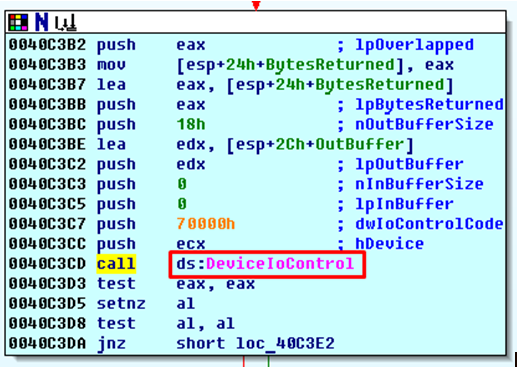 IDA Pro is a cool instrument so we just have to write a command. 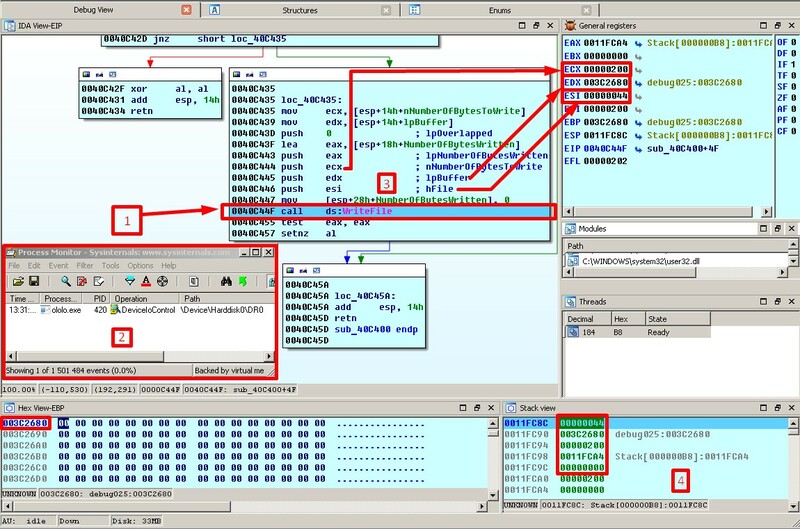 After these manipulations the procedure will look simple: enter and exit, making an empty loop (since we do not know what other parts of the program may hook into it we just leave it be in such state). Malware has read the information about the disk, studied it and continued on with its business that we will analyze thoroughly in our next articles. 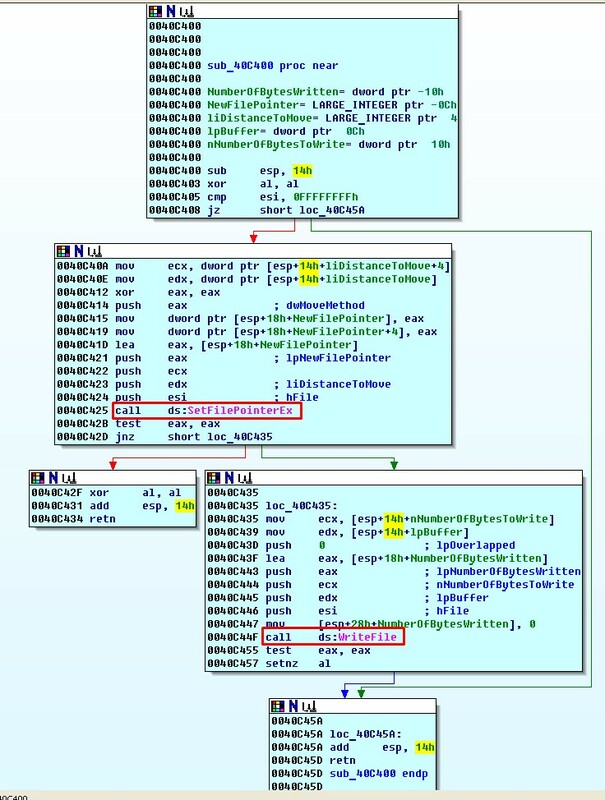 – Hacker Disassembling Uncovered. Kris Kaspersky, 2009.